Okay so red Lipstick is something that every girl must have in her makeup kitty and I was looking forward to buy one too! Just when I was about to buy, guess what! My sister gifts me one!! 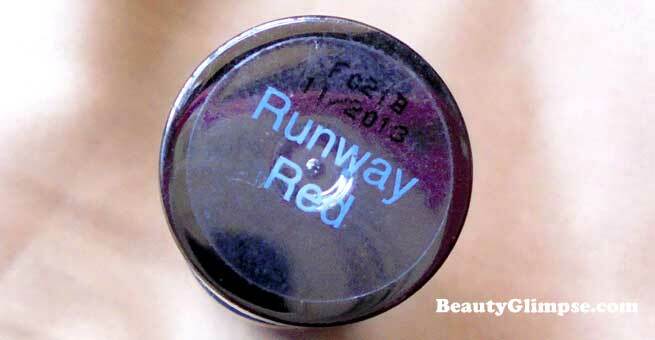 So she decided to be too generous and gifted me the Lakme Absolute Creme in the shade Runway Red. 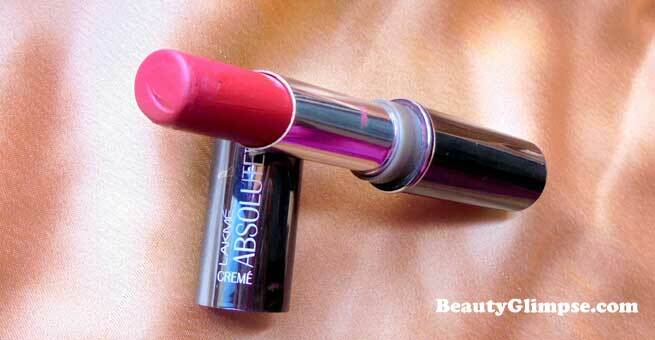 So let me straight get on to the review of Lakme’s Limited Edition Absolute Royal collection – Lakme Absolute Creme Lipstick – Runway Red. As per Lakme: The Lakme Absolute Creme Lipstick – Runway Red is loaded with vitamin E as well as wheat germ oil which keeps the lips soft, silky as well as smooth. Packaging: Lakme’s Absolute range of products in general have amazing packaging that is quite inviting and you just feel like buying it, just for the sake of its packaging and this one too does not fail to impress. The tube is glossy grey in color, with metallic finish. 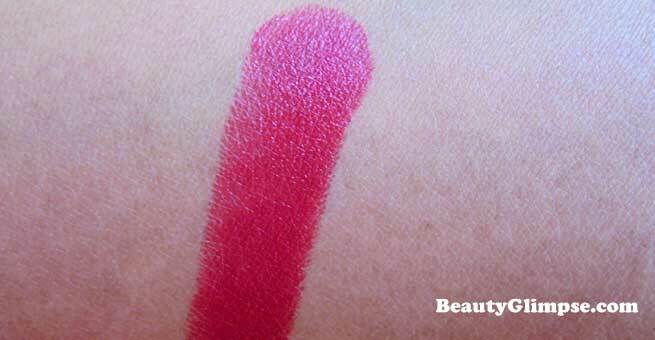 The lipstick has a fabulous texture, very creamy but not glossy at all. It is highly pigmented which means just one coat is enough. It is a deep red, somewhat a shade of brick red and it suits most of the Indian skin tone well. It is very tricky to choose the perfect red that matches your skin tone and I love this one because it brightens my face. 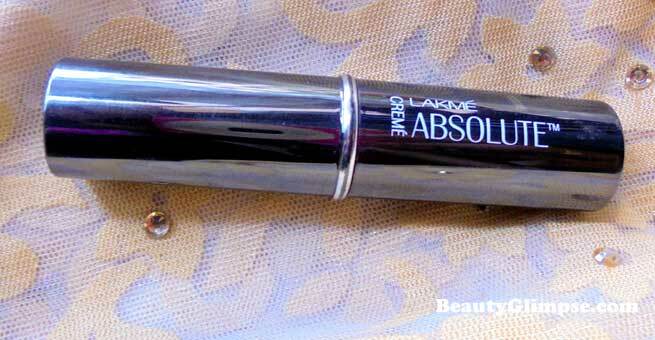 Lakme Absolute Creme Lipstick – Runway Red has a nice scent of vanilla. Staying power is really good and stays for 4-6 hours. While applying it gives a creamier effect but when it settles down it gives a completely matte finish but yes, after a while it does dry the lips. The one issue I noticed it is that the lipstick bleeds hence I would recommend using a lip liner before application. For me this one is an absolutely wonderful shade and if you are going to get married you must pick this one as this is sure a bridal lipstick. Apart from that you can carry this shade for navrathri as well as an evening wear since red is the color of the season. 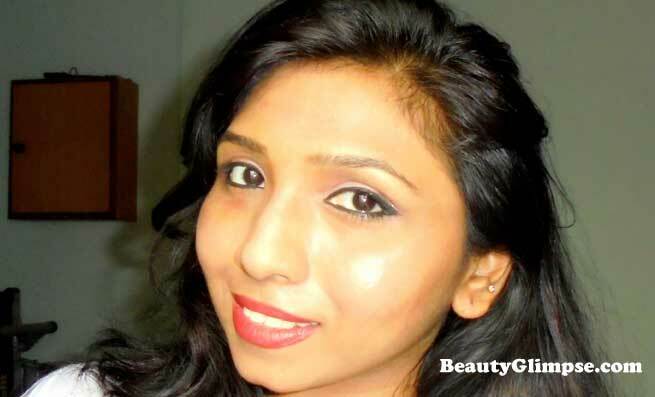 The Lakme Absolute Creme Lipstick – Runway Red is a classic red and will suit most of the skin tones so I highly recommend this one for sure. I have fallen in love with the Lakme Absolute Creme Lipstick Runway Red, it is just the right red for me as it is not too bold or bright. It is a red that suits most of the Indian complexions well. I have worn this look with a simple white shirt as a day wear, it goes really well with any attire so if you try out do post your views girls.